The sun has set in the Nigerian town of Ebocha, but the day has not turned to night as one would expect. 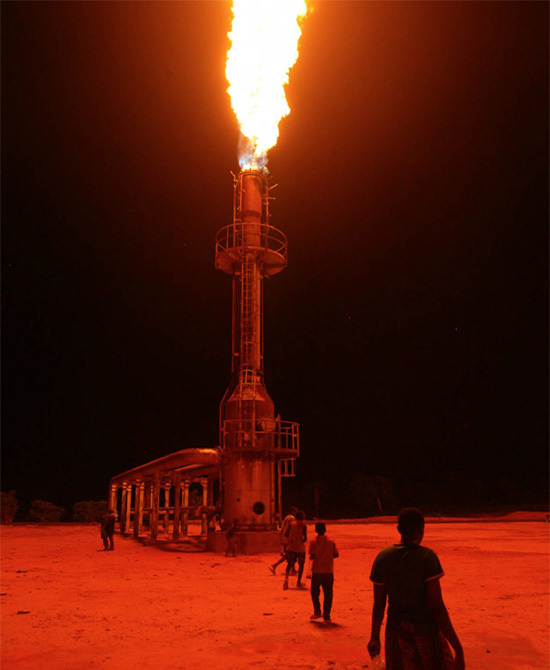 The flares have been illuminating the landscapes since the 1970s, residents say, night and day continuously, because Nigeria has not built the infrastructure to make use of one of the world's largest reserves of natural gas. So rather than putting it to use, the fuel is burned off, or flared. Let's call Cai Quo-Qiang for sure then.